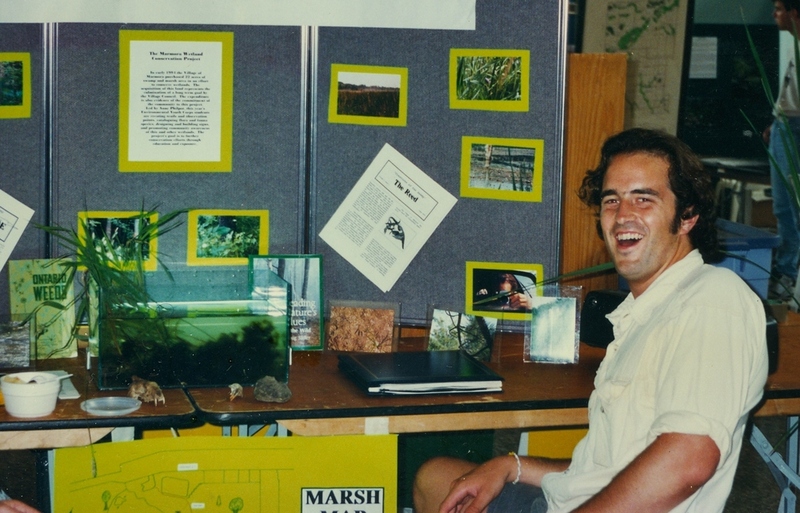 In early 1994, the Village of Marmora purchased 22 acres of swamp and marsh area in an effort to conserve wetlands. The land was formerly the Nayler Brickyard of the 1880's and some of the bricks are still visible on the trails. The acquisition of this land represents the culmination of a long term goal by the Village Council of the time. The expenditure is also evidence of the commitment of the community to this project. 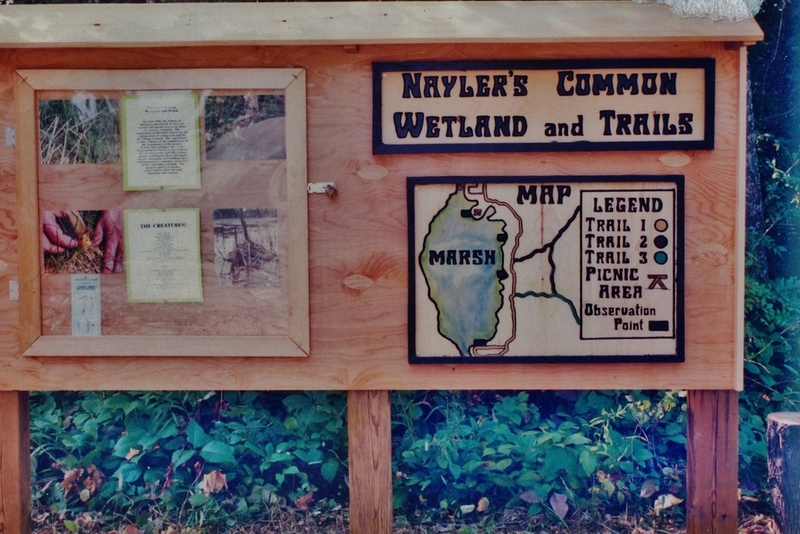 Led by Anne Philpot, that year's Environmental Youth Corps studentscreated trails and observation points, catalogued flora and fauna species, designed and built signs, and promoted community awareness of this and other wetlands. The project's goal was to further conservation efforts through education and exposure. In 2013, a new observation platform that overlooks the marsh was built “We are proud of the work that has been done and of the partnerships that have made this project possible” stated Deputy Reeve Cimprich, referring to the Marmora and Lake Environmental Advisory Committee, the leadership and expertise of Curtis Trimble, Manager of Parks and Recreation, the Stewardship Youth Rangers of the Peterborough Youth Program funded by MNR, and the financial support of the Toronto Dominion Bank’s Friends of the Environment Foundation. Open House at the Library, hosted by Bridget Stevens & Guy Follen, Environmental Youth Corp participants.